Luke Zaskoda was born and raised in the DFW area and currently resides in Trophy Club. He has spent the last 15 years in the financial services industry where he previously worked as a banker, trader, investments consultant, and Managing Director. 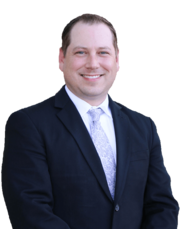 He has helped numerous clients reach their financial goals by understanding their situation and providing them with the best possible solution. After his most recent experience of selling and purchasing a home he knew it was time to utilize his customer service skills and personal experience by helping others through the same process, by becoming a Realtor. When Luke isn't working he enjoys spending time with his wife Crystal, his twins Micah and McKinlee, family, and friends. He is a big sports fan and loves his local Texas Rangers and TCU Horned Frogs!